– For infants to 12 months. – 100% food-grade silicone; BPA, latex, phthalate free. – Dishwasher and freezer safe. 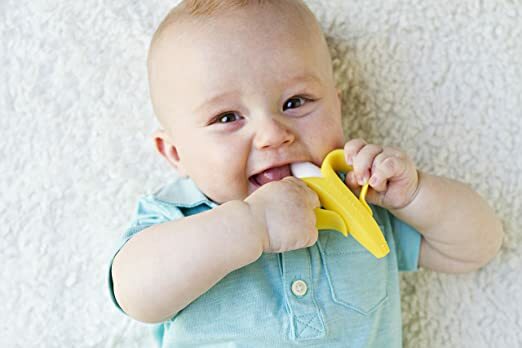 Take a bite out of teething! Sharky’s rows of soft, massaging bristles stimulate baby’s teeth and gums and make brush an adventure. – For infants to 24 months.